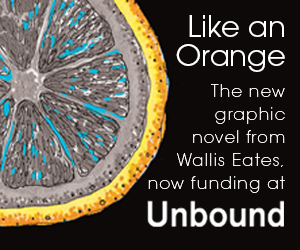 If you’re an observer of the UK small press scene you will no doubt have noticed the flurry of social media discussions a few weeks back about the possibility of a dedicated day of events promoting the flourishing and ever growing worlds of self and micropublishing. That initial back and forth quickly took on a life of its own and Small Press Day was born with a Twitter account, a hashtag, and a group of committed activists including small press organisers, creators, publishers, retailers and commentators ready to bring to life the very first event this coming July 9th. Reaction on Twitter has been phenomenal with enthusiasts from all aspects of the scene volunteering their services. 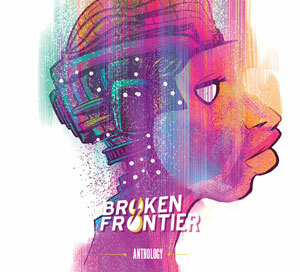 At Broken Frontier, of course, we have always prided ourselves on not just supporting small press comics but on actively championing their creators through initiatives like our annual ‘Six Small Press Creators to Watch’ and our recently announced Broken Frontier Small Press Yearbook. So you can be assured you’ll be able to read all Small Press Day developments as they occur here. The core aim of the day is to spotlight the possibilities of small press publishing via, in the first instance, store-based events and signings, and to bring its practitioners to the far wider audience they deserve. So far a number of shops have shown an interest in taking part including Gosh! Comics, Orbital Comics, Travelling Man and Forbidden Planet Eire. 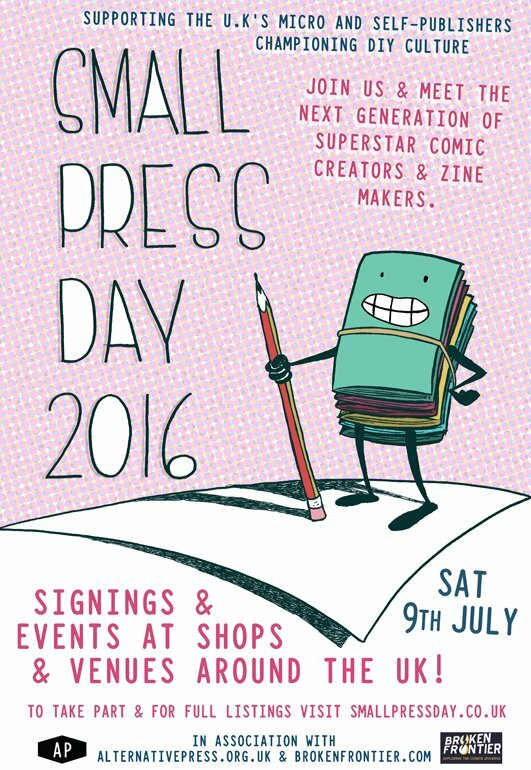 Watch out for announcements later this week on the Small Press Day website which will give further details of how shops and local organisers can get involved. Small Press Day is an opportunity then to embrace that grassroots ethos and the communicative power and accessibility of comics. It’s as much a celebration of a can-do philosophy as it is a form of delivery. So come join us on July 9th and discover for yourself just why so many small press aficionados consider this to be the Golden Age of self and micropublishing in the UK! 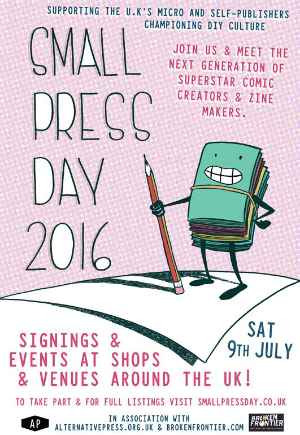 You can follow Small Press Day on Twitter here.